The scatterplot above represents a sample of players of an online video game. 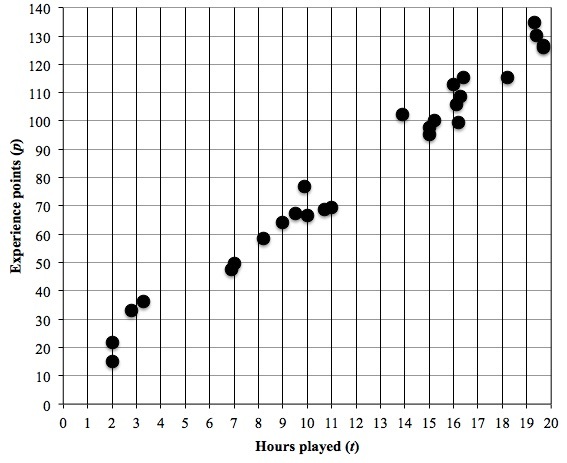 The number of hours each player has played (h) is plotted on the horizontal axis and the number of experience points each player has collected (p) is plotted on the vertical axis. Which of the following could be the equation of the line of best fit for this data?